What a great project from Diary of a Mad Crafter for making holiday gifts! If you don’t want to use a leaf think of all the other cool textures you can use! Bark, fingerprints, buttons, or how about layering impressions? Orange skin with fingerprints on top? Hmmmm, the possibilities are endless. This tutorial is super easy, so I condensed it into one picture. All ya need is some polymer clay (I used white so I could paint it later, but you could of course use whatever color you want), something to roll your clay out, and a leaf. 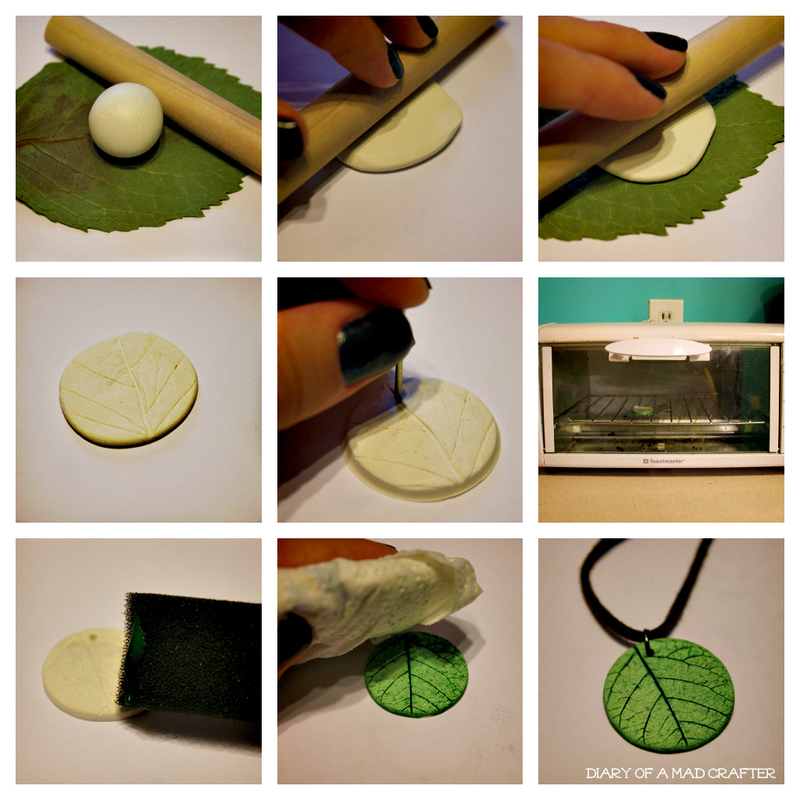 Play around with different types of leaves for different prints! I rolled it out a little, just to make it easier, and then rolled it over the leaf. This step is optional, but I wanted a clean cut, so using a round cookie cutter, I cut my clay. I poked a hole through the top, and baked it according to the clay’s instructions.